The trial between celebrated highlife musician Akosua Agyapong and Frank Agyemang Badu over accusation of defrauding by false pretence has resumed at the Accra Circuit Court after several adjournments. The case stalled in May, 2018 after the presiding judge, Priscilla Dappah Mireku went on leave. Akosua Adjepong and one Frank Agyemang Badu, a building contractor, have been accused of allegedly collecting GH¢105,000.00 from one Jonas Asamoah under the pretext of providing him with a parcel of land. The prosecution claims the musician and a man identified as Frank Agyemang, aka, Killer Boss, sold a land which apparently did not belong to them to the businessman. The two have been charged with conspiracy to commit crime and fraudulent transaction of land. However, after long break over the case, it has finally seen a call back at the High court. During the hearing, B.T. Agbley, counsel for Akosua Adjepong, cross-examined the complainant who ended his evidence-in-chief in December last year. The complainant told the court how Akosua Adjepong rejected a cheque for GH¢65,000.00 because of delays and followed him to the bank to withdraw the money as part payment for the land. Adjepong’s lawyer put it to the complainant that he never had any financial dealings with Akosua Adjepong. 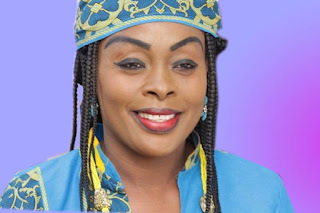 He told the court that he issued a cheque for GH¢4,000.00, being the final payment for the land, to the musician and her accomplice and that his bank’s records showed Akosua Adjepong withdrew the money. The lawyer suggested that the complainant took possession of the land and fenced it.